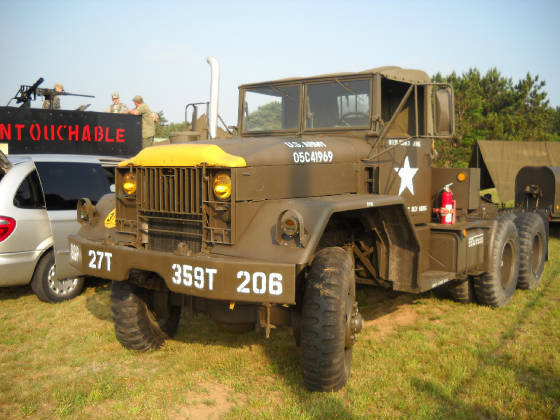 1968 M52A2 "5 ton tractor"
Bought in 2004, it has been to many events and has had the honor of meeting a few Veterans who drove trucks like this 45 years ago. It is our privilage to have the "Workhorse of Vietnam" as apart of the collection. We will continue to bring it to the public so they can see what it did so long ago. 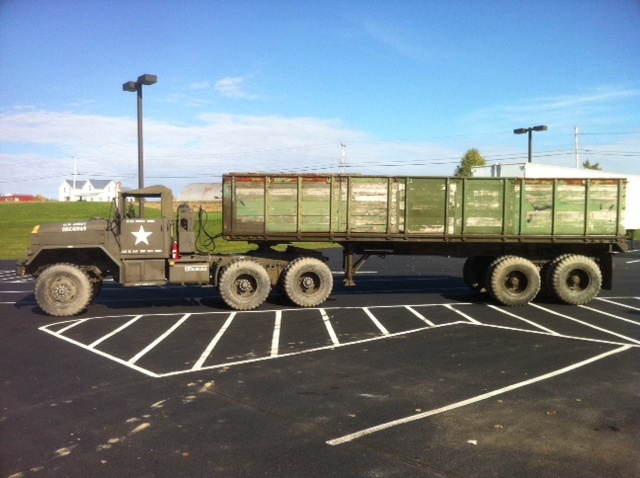 Now complete with a 1967 M-127 trailer. 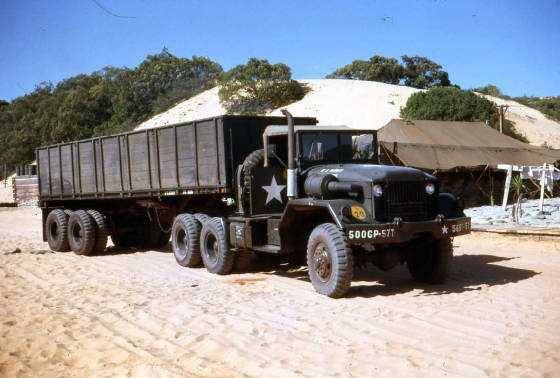 The 5 ton tractor was the "workhorse" of the Line Haul Units. 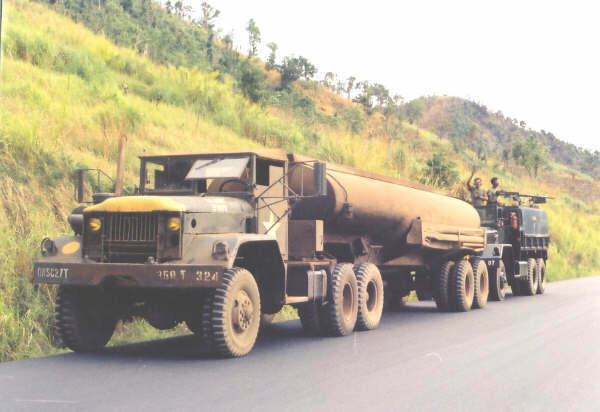 Combined with the M127 Stake & Platform trailer or the M131 fuel tank trailer, the M52A2 helped the soldier in Vietnam power his tank and shoot his gun. Using 5,000 gallon tank trailers, the truckers would become good targets for the enemy. Using the Russian designed and built RPG-6, many drivers would be shot at hauling these fuel tanks on wheels. Their fellow cargo drivers would name them "Zippo's"